Be it remote visits with patients or online coding and billing systems, advanced technology has drastically improved how doctors operate in modern healthcare. At the same time, these innovations have also complicated the daily routines of most physicians. Case in point: online reviews. "Proper feedback is essential to fine-tuning your medical practice." While proper feedback is essential to the doctor's ability to continually fine-tune his or her practice, digital input can be hard to process given the content and the lack of connectivity online. However, learning to take these reviews in stride will only make patient-facing interactions all that more beneficial. It's important to recognize that not all reviews are equal. As DentistryIQ uncovered in creating its own analysis, there are some online venues that are simply more reliable than others. Most people, patients and doctors alike, trust sites like Healthgrades and Yelp over sites like WebMD and Zocdoc. It's important to keep the origins of the review in mind as you weigh its importance and reliability. No matter how professional people might claim to be, there's something about online interactions that can easily lead us to extended shouting matches. It's important to respond to negative reviews of your practice, but in a very specific way. Simply tell the person you're willing to discuss the matter if they call or stop in your office. That way, you're maintaining a cooler head and avoiding HIPAA violations by sharing too much personal information, which has happened to some healthcare professionals. 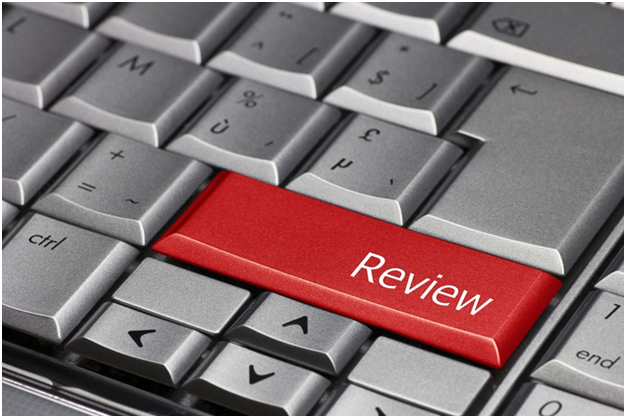 Though not really all that common, some physicians in recent years have begun to ask patients to post online reviews. This has a number of different benefits. For one, it's an easy way to "bury" negative reviews with posts that are generally more balanced or even positive. Additionally, it's an effective way to market your practice in an organic way. Just don't incentivize patients to post reviews, as this usually violates the terms for review sites and even Google. You can, however, provide links to social media platforms you operate or your profile on Yelp, Google, etc. As Forbes pointed out, there is an important distinction to be made between single-person reviews and those viewpoints shared by a large group of people. The former may not be credible and could be the work of one patient with an ax to grind. However, if several different people are saying that, for instance, you rushed them through their visits, then this might be something to look into. Again, it's about weighing the reviews on their merit and deciding what needs to be made a priority. If you spend enough time going through online reviews, you very well may encounter a few that are outright frauds. These are posted for an assortment of reasons, and sometimes people simply get a few laughs from this specific form of trolling. If you can prove you're dealing with a fake review, most sites can take them down. This is an important part of using reviews for all the right purposes. This process should be pure and the truth should matter, and everyone needs to be accountable, including patients.